Some weeks ago, John Humphreys of Radio 4’s Today programme was interviewing children in Bong County, Liberia. What would they like to do when they grew up? I would like to start a large business, said one. Ah, responded Mr. Humphreys, you can’t start a large business, only a small one that grows. How patronising, you may have mumbled into your cornflakes before going about your day. But for entrepreneurs the world over, what he said is not only true, but urgent. True, because every world-leading company started small, whether it be Bill Gates in his Seattle garage or James Dyson’s student business. And urgent, because, beyond survival, the challenge for every SME is to grow while maintaining its quality and reputation. There is no one answer here. Your business is as different to mine as Bournemouth is to Bong County. But whatever your product or service, skilled, efficient, capable people are essential. It’s easy to think that if staff can do their jobs, why train them? But what does this approach miss? The UK Commission for Employment and Skills recently published its Employer Skills Survey, which looked at training needs, skills gaps and vacancies across the UK. It found that businesses that led on innovation, quality of product and customisation of offer were more likely to be businesses that had invested in training their staff. Talk to your staff. It may sound obvious, but talking to your staff about their skills, aspirations and interests as well as their work is important. Set the agenda. It’s up to you to take ownership of your skills needs in the same way as you take ownership of your equipment or your premises. Don’t accept training just because it’s the only thing on offer – decide what you need, and pursue it relentlessly. Get help! You don’t need to go it alone – there are plenty of people and organisations whose business is to help yours. At 21 years old, Investors in People still has a lot to offer – it’s a cost-effective way of getting independent advice on whether the skills of your people are aligned with your business strategy. And don’t dismiss your local college or university. Contrary to popular belief, they have a lot of flexibility in how they work with employers. 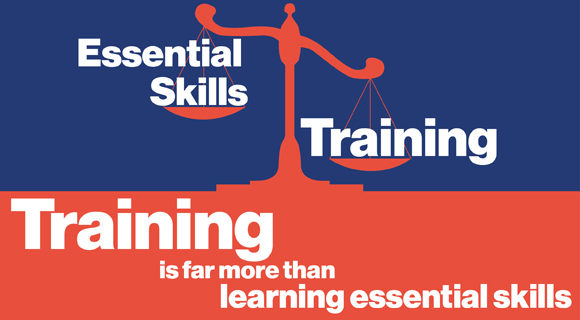 What your people get from training is more than just the skills they need to excel at their job. They also get capacity: capacity to go further than their immediate role and innovate. The more capable and confident your employees, the better prepared they will be to help your business grow.